At times it can be helpful to have someone outside our immediate family or friends who has time to listen to us in confidence and without judgement. Being actively listened to can help us cope better, clarify our thoughts and feelings, feel supported and have more hope for the future. You are not alone! 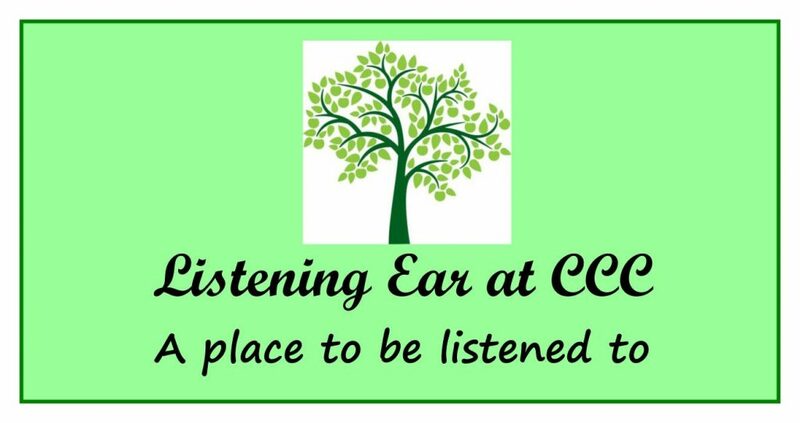 We are offering regular ‘Listening Ear’ times at CCC throughout the week. This is a caring and confidential service for people in our church and community who might be worried, alone, coping with loss, stress, family problems or simply need a place to talk. Whether you attend our church, visit only occasionally or live in the local community you are welcome to get in touch with us. Change is hard work – thankfully you don’t have to do it alone. Taking the first step by reaching out to someone is often the hardest. For more information, or to set up a Listening Ear appointment you can email us at listeningear@culduthelchristiancentre.org or contact us by phoning / texting 07908402344. Listening Ear is free, open to the public and completely confidential. What do you have to lose? You can also ‘drop-in’ on a Thursday morning between 10-12:30PM where there will be someone available to listen. Coffee and Tea will be available in our coffee shop for those using the Listening Ear Service.